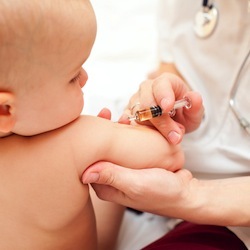 After moving to the nursery, baby will likely be given a vitamin K shot. The shot promotes blood clotting as babies aren't born with the natural ability to clot properly. Other medications may be administered on a case-by-case basis if your infant needs additional care. Typically, there are several heel pricks to test for PKU, sickle cell anemia and other disorders and diseases.